Zichron Yaakov Eliyahu (ZYE) is a division of the Bais Medrash of Ranchleigh in Baltimore, Maryland, dedicated in memory of R' Yaakov Eliyahu (Gerald E.) Naiman, father of the founder and Mara D'Asra of the Bais Medrash, Rabbi Abba Zvi Naiman. ZYE serves as the charity fund responsible for disseminating Torah through the Bais Medrash. This takes the form of making available shiurim that are given there, publishing Torah works, and an innovative Kollel program supporting young Torah scholars who study there. This site contains links to the Choshen Mishpat Topics series given by the Mara D'Asra, information about the Torah works published with the help of ZYE, and a description of Kollel ZYE. 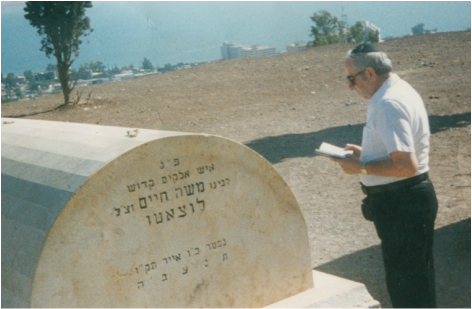 Click here for a short biography, composed by R' Yaakov Eliyahu's son, Yitzchak (Irvin).